The Nevada Shared Radio System (NSRS) has awarded Harris Corporation (NYSE:HRS) a $108 million contract to provide a critical communications network that increases coverage, reliability, interoperability and functionality for more than 16,000 users across 90 agencies. The Harris TP9400 Portable P25 Phase 2 Capable Radio. Nevada Department of Transportation, NV Energy and Washoe County will transition from a Harris EDACS system to a new statewide Harris P25 Phase 2 digital network. The system is designed to allow law enforcement, public safety workers, utility workers, public works and others to communicate across agencies on a statewide basis. Harris will provide an end-to-end 126-site multicast/simulcast system, including a Voice, Interoperability, Data and Access (VIDA®) converged and integrated service platform; Symphony™ command center dispatch consoles; XL-200P full-spectrum, LTE-capable, multi-band P25 radios; and the BeOn® mobile Push-to-Talk application for integration of narrowband and broadband solutions. 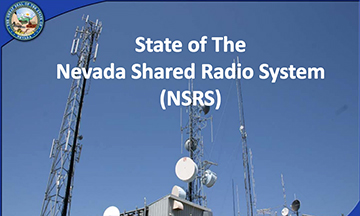 Nino DiCosmo, President, Harris Public Safety and Professional Communications, said this extends a 20-plus-year partnership with Nevada Shared Radio System providing mission-critical communications capabilities for its users across the state,. This is truly a public-private partnership and Harris looks forward to providing the essential connectivity that will enable Nevada’s first responders to serve their communities.